In our digital world, relevant, engaging content is your key to your website’s success. That said, this is the area in which most businesses struggle. After all, you’re a small business owner, not a writer, right? Well, maybe. But the fact of the matter is that your customers won’t be very forgiving of your inability to create riveting copy – in fact, your writing talent will likely become a moot point as your customers (and potential customers) won’t be hanging around on your website at all. If that’s a scenario that won’t work for you (and it shouldn’t), it’s time to clean up – and spice up – that web content. Here are a few of our no-fail tips for the copywriting novice. Before you can start putting words on paper (or for our purposes, on screen), you need to have a clear message. And not any message will do. Your message should be clear and highly relevant to your customer audience. If you’re not sure what your message is, consider your business goals and objectives. Do you want to attract more customers? Do you want your customers to try a new product or service? By defining your goal, you’re essentially determining what your message will be; you’re simply taking it from your perspective to your customers’. Make your headlines, subheads and value propositions compelling. When was the last time you read a web page or digital article start to finish (this post not included!)? If you can’t remember, that’s no surprise. We live in an age of content skimmers. Your customers have no shortage of content to consume and sites to peruse. And they have no patience for those long blocks of content. That’s why your headings, subheadings, and value propositions have to do some pretty heavy lifting. These are the content elements that will compel your customer to click or keep reading. Don’t end with your headlines; start with them. Don’t end with your headlines; start with them. Make calls to action clear. Sure, you’ve got great content, but if that content doesn’t convince your customer to do something, it’s not working for you. 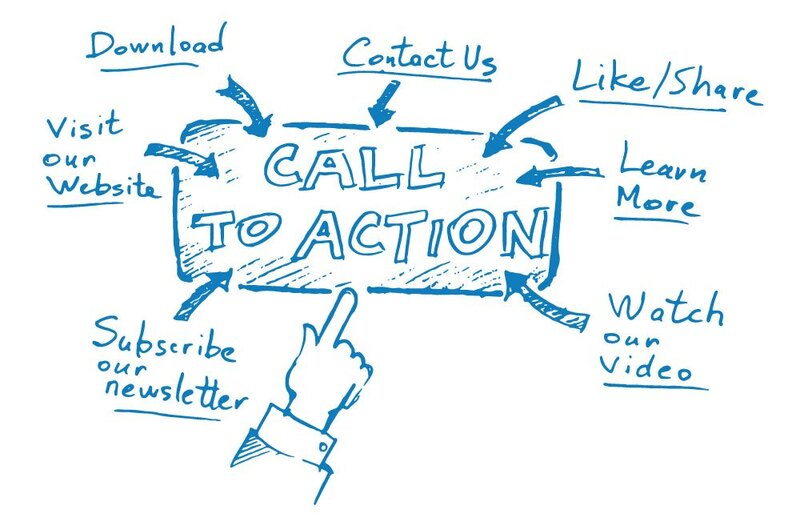 Your copy should center on your call to action, which is what you want your reader to do. Whether that call to action is to make an appointment, give you a call, buy a product or schedule a consultation, all of your copy should work to convince your reader that it’s the most important thing they can do today. And of course, no call to action will be successful if it isn’t prominently displayed on the page – every page. Format copy for ease of reading. Remember what we said about your customers not interested in long, boring blocks of copy? Well, that concept should drive your website and blog formatting. You want to offer information in small, digestible and easily distinguishable chunks. Chances are, no one is perusing your website in hopes of studying a whitepaper. Make your content quick and dirty – that’s how your customers like it. Today’s content marketing isn’t about talking to your customers. It’s about conversing with them. Your web content, social media presence and blog content all serve as communication channels between you and your customers. That’s why your content should always be compelling enough to spark conversations. Whether you’re making a stir on social media or opening a good-natured forum for tips and tricks, your customer should never be a passive reader; he or she should be empowered to fuel the content further. Need help creating the kind of content that actually gets read? We’ve got your back (and your site, and your blog, and your Facebook page). Call us today.